New Zealand soldiers are still remembered, even 100 years on, by the people of the Belgian town of Messines. 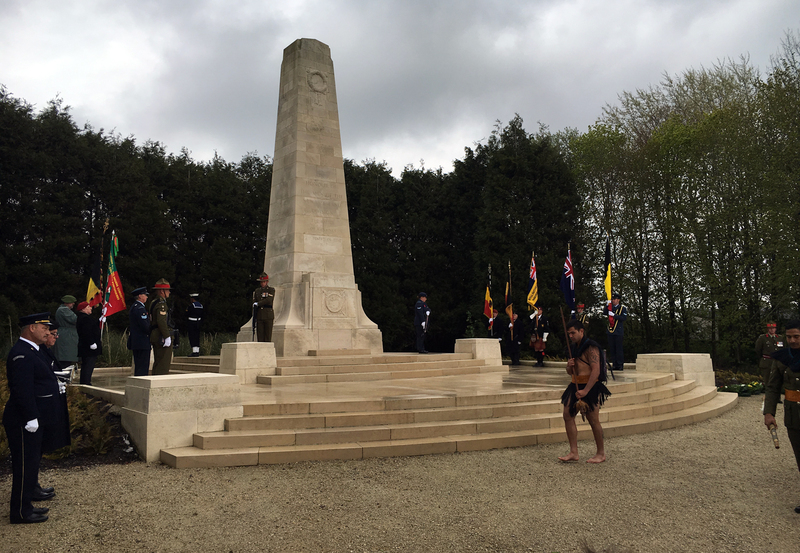 Anzac Day commemorations at the New Zealand Battle Memorial in Messines/Mesen, 2016. It’s hard to imagine that the beautiful slopes and valleys of the West-Flemish hill country we see today were once a theatre of war and death. Set on a strategically important ridge, and close to the French-Belgian border, is the small town of Messines, or Mesen as it is now called. The Messinois, or people of Messines, left the town in October 1914 shortly after the First World War began. They returned five years later to piles of rubble, with only memories of what was once their home. This was not the first time in its 2000 year history that Messines had been destroyed by war and violence, and slowly and steadily the resilient and determined Messinois once again reconstructed their town. In and around Messines, New Zealand’s efforts in the Great War are marked by the New Zealand Memorial (unveiled in 1924), the New Zealand Memorial to the Missing and several Commonwealth War Graves Commission Cemeteries. In the late 1960s local historians started to take an interest in the New Zealanders’ names on the monuments and tombstones. Who were these men and why did they come from the other side of the world to a small town like Messines? Shouldn’t we honour them more for their sacrifices? As result of this growing interest, the two small towns of Messines and Featherston became twin towns on 11 November 1975. Featherston was chosen because the main training camp of New Zealand’s First World War infantry was located there. 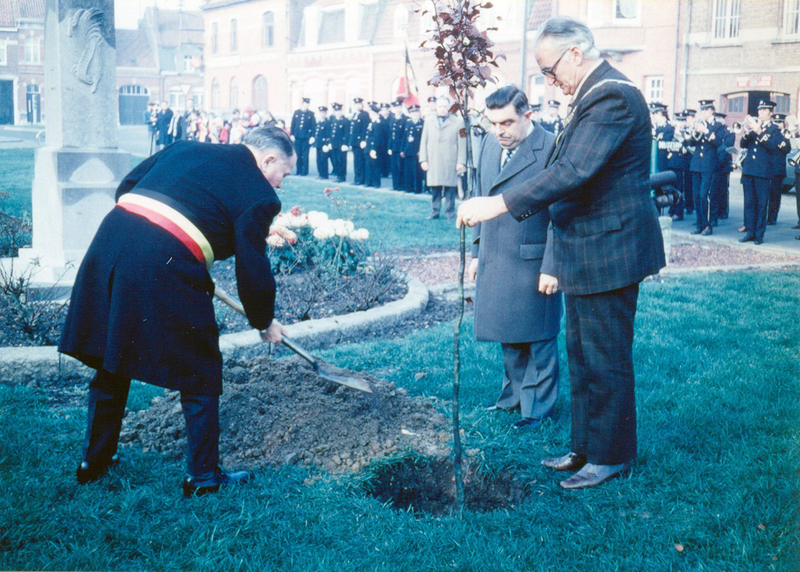 Representatives from Messines and Featherston plant a tree during the towns' twinning ceremony in 1975. 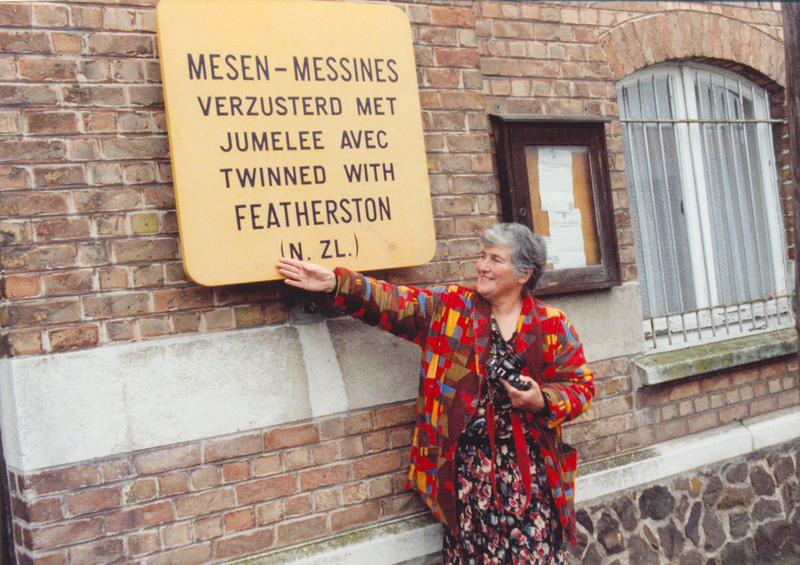 A Kiwi battlefield tourist points to the trilingual twinning sign, located in the town square of Messines, sometime in the 1980s. The creation of twin towns reinvigorated the unique bond between Messines and New Zealand. 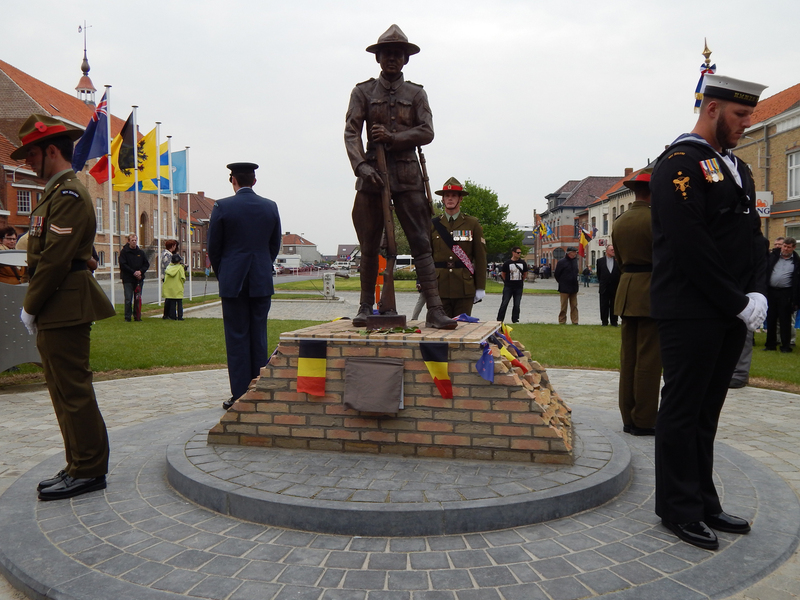 The Messines town council undertook a public education programme to ensure the local people knew about New Zealand’s involvement there, including renaming the street where the New Zealand Memorial stands to Nieuw-Zeelandstraat. Local school children have learnt New Zealand’s national anthem in Māori, and sing it during the many official visits to Messines. Over the past 15 years there have been barbecues and hangi to celebrate the relationship, exchange programs began, New Zealand performers have given concerts and personal friendships developed. Dozens of Messinois have also visited New Zealand over the past decade and have had close contacts and friendships with Kiwis for years now. The First World War was a violent page in the histories of both our countries but remembrance strengthens our friendship. Even after the centenary period, Messines, or Mesen, will always be a little part of New Zealand on the other side of the globe. A statue of a New Zealand soldier was unveiled in the town square on Anzac Day 2014. Anzac Day was commemorated each year in Belgium and France during the First World War centenary period. This image shows the Anzac Day ceremony at the New Zealand Battle Memorial in Messines in 2016. 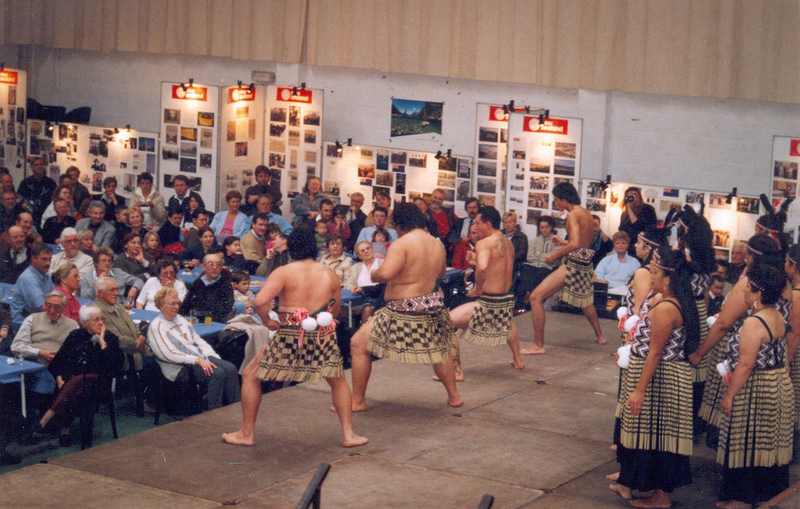 Ngāti Rānana from London perform for the people of Messines at a 2005 concert.